We are successful Television Development Consultants and Trainers. We work with clients to devise formats, write pitches and package ideas for production. We open doors. And we win commissions. We have helped clients win over £8,000,000 worth of TV business. We have trained hundreds of media students. Development clients include CPL Productions, Curve Media, Squire Media, Drum, Open Mike, Phil McIntyre Television, Aloof Hat Productions, Nippon Television, 1+1 Ukraine, PBJ Management, and Independent Talent. Training clients include the BBC Academy, PACT, The National Film & Television School, ScreenSkills, The Indie Training Fund and Guardian Masterclass. 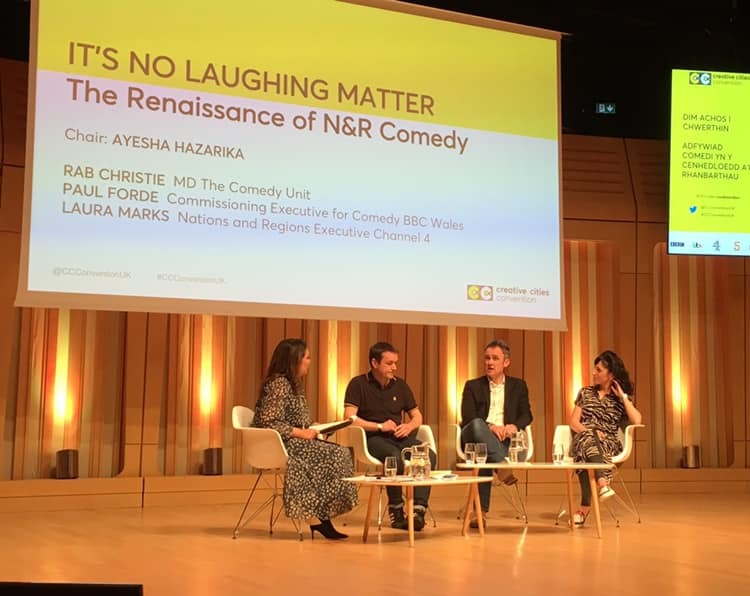 We have also recently organised conferences for the television industry. Graham has been an Executive Producer for the BBC and a Commissioning Executive for Channel 4 and Channel Five. He has also run his own successful independent production company. Mark Robson has been an Executive Producer and successful development executive for ITV, Endemol, Channel 4, CBBC, Channel Five, Discovery and Disney. He has also run an interactive, multi-platform gaming channel for Sky. Tony was CEO of twofour54 in Abu Dhabi. He has launched and run Television channels around Europe for Viacom, Paramount Pictures, MTV and Comedy Central. Tony is a board member of the Media Zone Authority, Abu Dhabi. Our extensive Commissioning and Production experience means we know how to win UK commissions. We understand the system, having been commissioners ouselves. We refine your sales strategy, saving you time and money. We prepare pitches and make sure they get to the right people. We connect clients to broadcasters and production companies. We find key talent and broker deals between you and a buyer. We provide an independent, honest and extremely experienced script editing service for many clients. Let us help you get the most out of your work. We are experts in format development and storytelling. We often work with development teams to supercharge their slate. We can be hired as executive producers on a part-time basis. We work with each client to agree a suitable and affordable fee for our services. We can be hired for a daily or weekly fee. Depending on the work involved we may ask for a small share of the IP in your project. This is negotiable. I'm afraid we cannot accept speculative work. Please note: we are not a production company. We help our clients make programmes! "Grand Scheme Media has created and run hugely popular training programmes, all of which have been unanimously applauded by those who attended. Mark and Graham have fantastic industry contacts and a wealth of knowledge of their own which they generously share with participants. 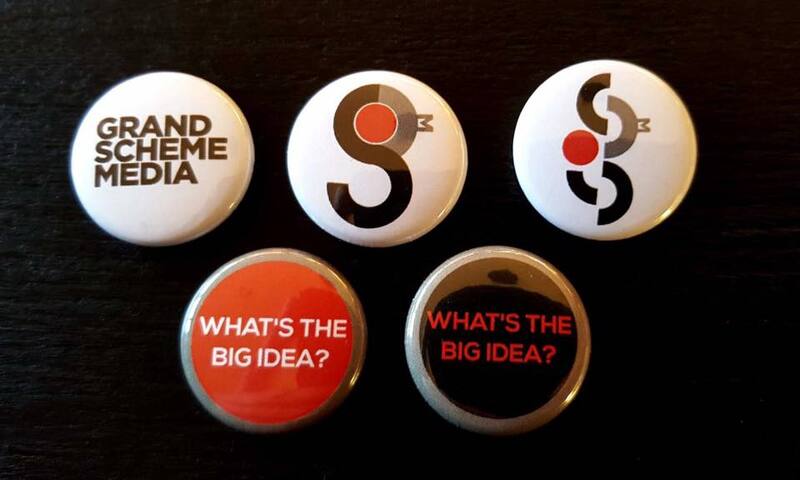 Grand Scheme Media are not only brilliant at what they do, they are also a joy to work with." We organise training events, conferences, workshops and masterclasses for a range of prestige clients across the world. We work with ScreenSkills, the Indie Training Fund, The National Film and Television School, The BBC Academy, Guardian Masterclass and PACT. We also work with independent production companies, content agencies, brands, educational institutions and private clients to deliver incredibly popular and highly praised training. If we can assist you with any form of Training, Mentoring, Lectures or Workshops, please contact: mark@grandscheme.tv. We are currently working with one of the UK's leading producers of scripted and non-scripted entertainment and comedy, DLT ENTERTAINMENT. Our ongoing relationship is based on developing new programme ideas for the maret, keeping in touch with commissionng needs and advising the DLT team where needed. We were delighted to help deliver a workshop on Formats, International Sales Strategy and Finding Success in the international television market in Seoul, March 2019. In collaboration with KOCCA, the Korean Creative Content Agency, we organised special guest speakers and delivered six sessions across two days. 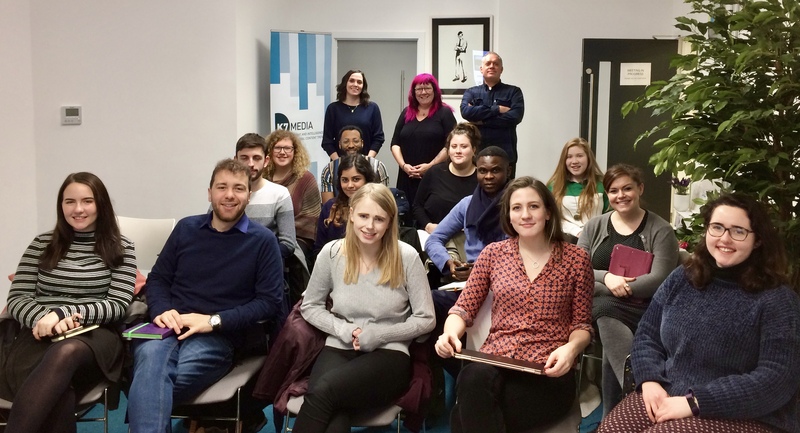 We were recommissioned to deliver five regional training courses aimed at encouraging new talents into the Children's Television production sector. We pride ourselves on our ability to deliver cost effective, regionally focused training across a range of subjects. We can access key talent to deliver detailed insight into a broad range of creative and technical skills. We were asked to help find talent and organise sessions for a series of PACT workshops across the United Kingdom, in collaboration with the DTI. We have succesfully delivered our commissioned training for the Children's TV Levy Council, managed by CREATVE SKILLSET! Designed for crew who want to work on Children's TV productions, the course covered health and safety, best practice on set and the importance of chaperoning. We have concluded our search for leaders for a prestigious course to help writers in China develop high quality drama and movie scripts for the international market. Thanks to investment from The Children's TV Levy Fund managed by Creative Skillset, we were delighted to stage new training courses for people who want to work in the sector. This training is part of a nationwide search to find more creative and techynical talent to work in Children's Television. GRAND SCHEME CREATE FORMAT CONFERENCE! 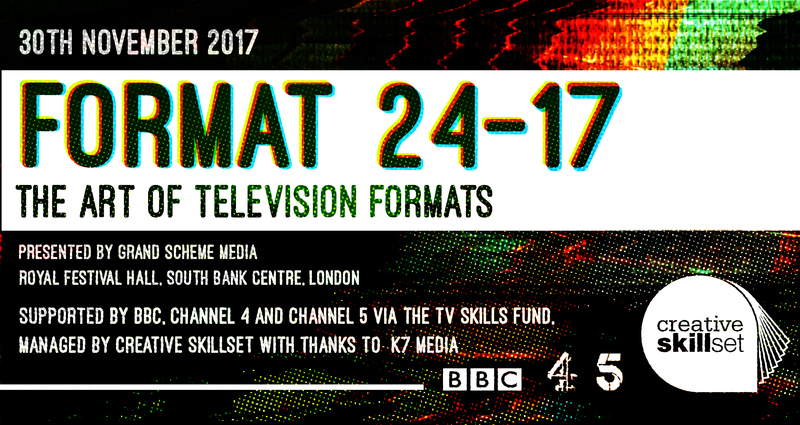 In 2017 we were asked to produce and deliver a new, one day conference on the art of creating television formats. The event took place on THURDSAY NOVEMBER 30th at The Royal Festival Hall. FORMAT 24-17 featured key speeches and presentations by Commissioners, Executives and Format Creators. 2017 - INSURRECTION TEAMS WITH GRAND SCHEME! 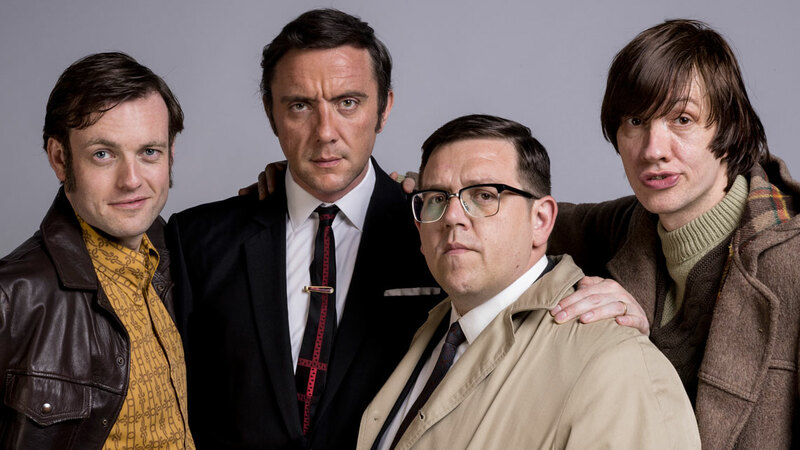 LA-based production outfit Insurrection Media linked up wit Grand Scheme Media to develop and produce dramas for European networks and streamers. We assisted Insurrection’s development efforts on retainer for six months. 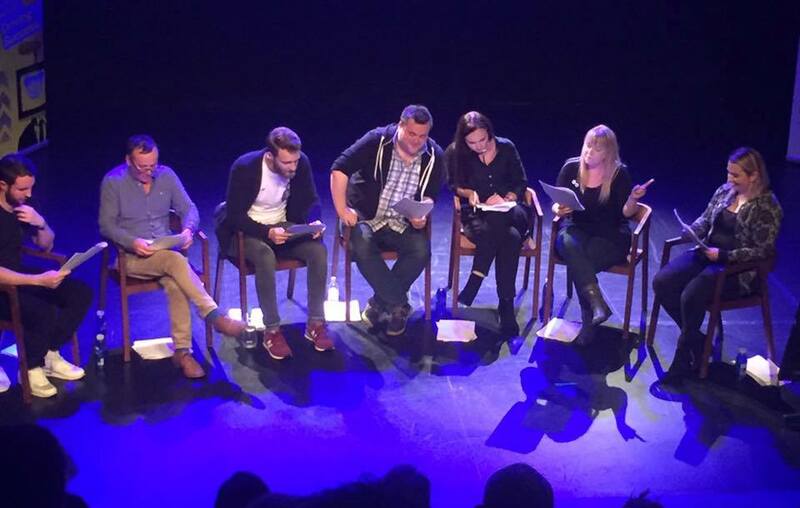 First run in 2016 with thanks to CREATIVE SKILLSET, and reimagined for 2017 in collaboration with the BBC Academy's Digital Cities initiative, THE BELFAST COMEDY WRITING EVENT culminated with a live read of original comedy scripts at the BELFAST MEDIA FESTIVAL. We were also delighted to present our Writing Comedy For Screen session in collaboration with BBCWritersroom. 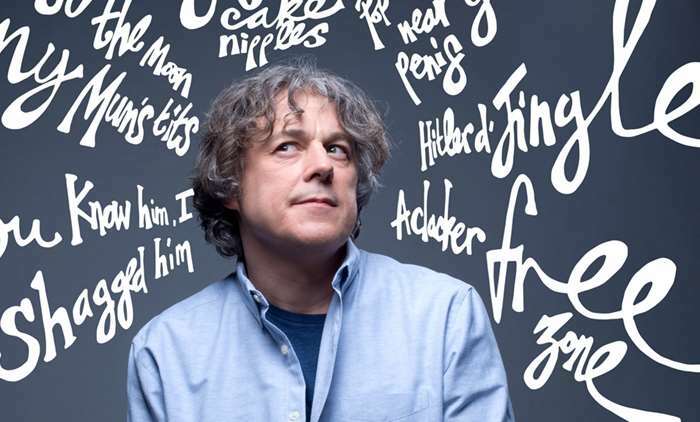 2017 - ALAN DAVIES - MADE IT TO SERIES FIVE!! The 5th series of the show Grand Scheme Media helped devise for the DAVE channel, and which is produced by clients PHIL McINTYRE TELEVISION, began broadcasting in February 2017. We packaged and pitched this idea in collaboration with key clients. These Entertainment Documentary specials for GOLD were incredibly well received. Produced by LINDSAY JEX for PHIL McINTYRE TELEVISION and SERIOUS COMEDY. TV DEVELOPMENT COURSE - STUDENTS ALL FOUND WORK! Grand Scheme ran a three month, part-time course for BBC ACADEMY and THE NATIONAL FILM & TELEVISION SCHOOL. All students went on to achieve professional work in Development. We were delighted to spend three months assisting on developing formats for THE IMAGINARIUM'S television division. Programme ideas revolved around utlising their state of the art performance capture technology. Calling on our expertise in international formats, we were honoured to work closely with this major Japanese broadcaster to create and sell new formats. We were also involved in providing intel and advice to this key Ukrainian broadcaster. We devised a number of projects for USP CONTENT. This included the BBC THREE commission "Tim Lovejoy's How To Be England Manager". We worked on development projects for TV with digital music content providers, Silver Bullet. While working with CPL PRODUCTIONS' Development Unit, we co-devised this David Walliams SKY ONE comedy panel game series. PBJ is one of a number of key talent management and agency groups that we have worked with. We specialise in working with their talent on ideas, advising them how to shape them for broadcasters and helping with pitch writing and brainstorming. We run successful Development training initiative for the NFTS and work in the department as industry experts, mentors, and tutors. I find Grand Scheme to be not only lovely people to work with but inspiring, refreshing and totally unique in their proposition to the TV industry . Graham and Mark are an intrinsic element in developing the USP Content offering. The creativity and contacts they offer has proved to be an excellent ontap resource for us. Grand Scheme media are a great team. They get Entertainment in all its forms and, for a company like ours, they’ve been very useful in formatting and shaping our ideas. We are successful Television Development Consultants. We are Trainers, delivering highly praised international courses. We work with companies and individuals to sell formats, scripts and ideas to buyers. We design fatastic skills courses for television. We deliver conferences, presentations and workshops across the world. Or call on +44 (0)207 836 4504. The following are terms of a legal agreement between you and Grand Scheme Media Limited ("GSM"). By accessing, browsing, submitting information for inclusion and/or otherwise using this website (Site), you acknowledge that you have read, understood and agree to be bound by these terms and conditions and to comply with all applicable laws and regulations. If you do not agree to these terms and conditions, do not use this Site. 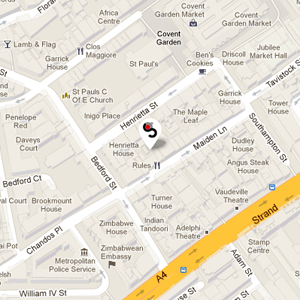 This Site is controlled and operated by GSM from its offices at 27 Maiden Lane, London, WC2E 7JS, United Kingdom. GSM does not make any representation that Materials, software and/or the facilities or services offered through this Site are appropriate or suitable for use in the United Kingdom or elsewhere or that they comply with any legal or regulatory requirements of any country and access to them from territories where such Materials or any of them is or may be illegal is prohibited. Those who choose to access this Site from other locations do so on their own initiative and are responsible for compliance with local laws to the extent that any local laws are applicable. These terms and conditions of use shall be governed by and construed in accordance with the laws of England & Wales, and you hereby agree for the benefit of GSM (but without prejudice to the right of GSM to take proceedings in relation to these terms and conditions of use before any other court of competent jurisdiction) that the courts of England and Wales shall have exclusive jurisdiction to hear and determine any action or proceedings that may arise out of or in connection with these term.